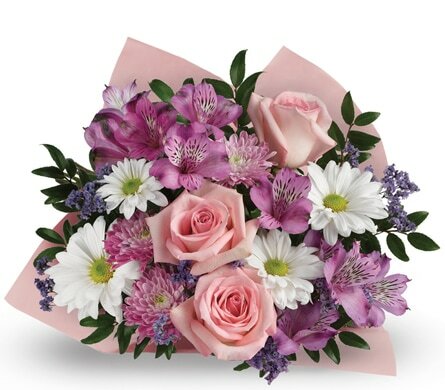 Make the joy of Mothers Day last with this charming bouquet of soft pink roses, purple alstroemeria and white daisies. Style By Nature is a Florist located in Port Melbourne, Victoria. We are a member of the Petals Florist Network and are committed to offering only the finest floral arrangements and gifts, backed by service that is friendly and prompt.